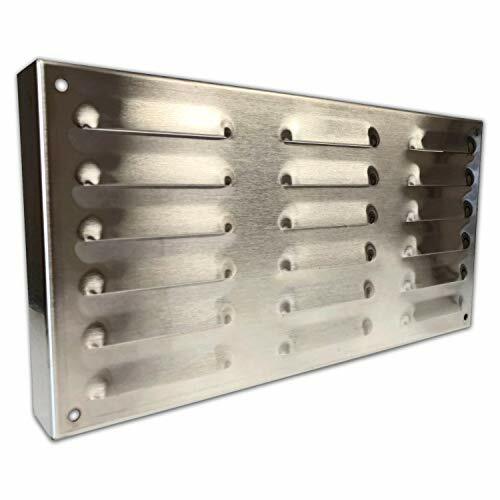 With up to 20,000 BTU's, this state-of-the-art vent free technology does not require a flue or chimney. This vent free stove functions with the option of Natural Gas or Liquid Propane. Pleasant Hearth vent free stoves are the ideal choice to bring style and warmth to your home. With Pleasant Hearth vent free stove systems, enjoying the warmth and beauty of a fire has never been easier. Minimum clearance design allows ease of installation almost anywhere. This thermostatically controlled unit does not support a millivolt remote control. Check your local regulations on installation restrictions and requirements. Propane use requires 100-lb. tank or larger with two-stage adjustable regulator available from local gas company. The Pleasant Hearth blower can improve heat circulation by up to 75%. 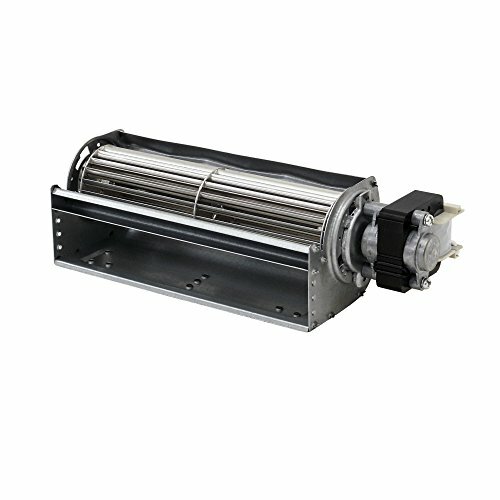 Thermostatically controlled with automatic or manual operation. 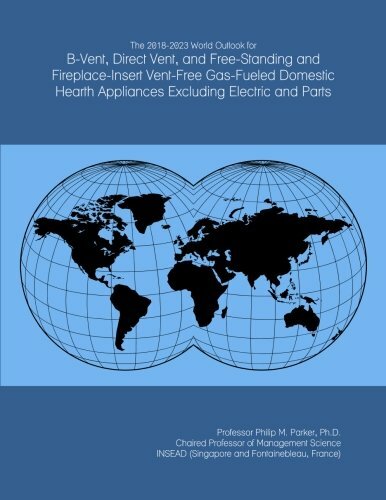 Designed and certified to only operate with Pleasant Hearth products. With up to 30,000 BTU's, this state-of-the-art vent free technology does not require a flue or chimney. This vent free stove functions with the option of Natural Gas or Liquid Propane. Pleasant Hearth vent free stoves are the ideal choice to bring style and warmth to your home. With Pleasant Hearth vent free stove systems, enjoying the warmth and beauty of a fire has never been easier. Minimum clearance design allows ease of installation almost anywhere. This thermostatically controlled unit does not support a millivolt remote control. Check your local regulations on installation restrictions and requirements. Propane use requires 100-lb. tank or larger with two-stage adjustable regulator available from local gas company. HearthSense brings you all the look and features of the high-end log lines with unsurpassed quality and unbeatable value. HearthSense casts their logs in concrete from real wood for amazing detail and manufacture all their own pilots and burners for quality assurance and safety. HearthSense designs all its gas logs to the highest standards for innovation and technology. 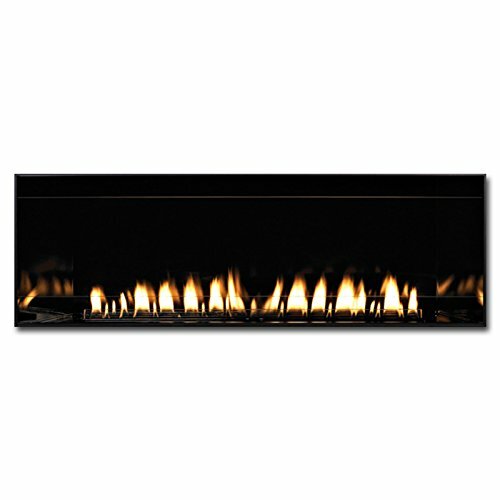 This vent-free gas log set features a large glowing ember bed to enhance the look and feel of the log set. 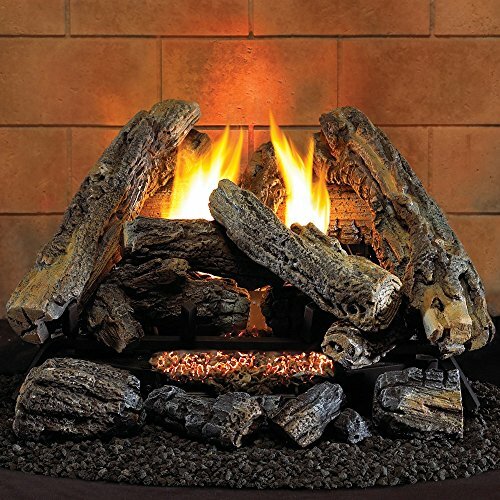 The glowing embers look as though real embers have fallen from the logs and glimmer as the log set warms your home. This feature is found only on high end log set designs. This log set also includes a 6 LED Ambient Light feature. The light is installed at the rear of the log set and when turned on, creates a warm glowing effect in your firebox! Please Note: This item is not for sale to residents in California. Check your local regulations before purchasing and installation. To prevent performance problems, please do not use propane/LP fuel tanks of less than 100 lb capacity. Vent Free heaters do not operate at elevations above 4,500 feet altitude. The Boulevard Linear Vent Free Fireplace combines artfully applied modern technology with an elegant look to provide efficient performance. 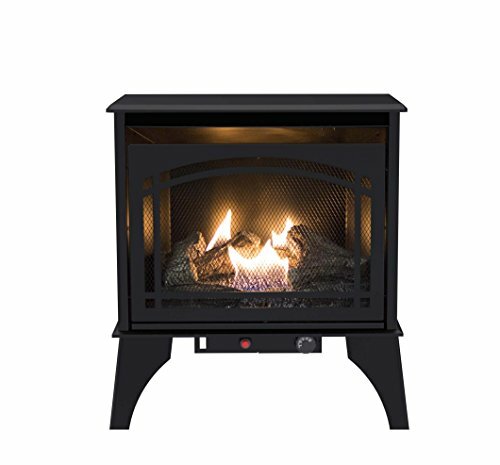 The Boulevard 48-Inch fireplace features the Green Earth Preferred Intermittent Pilot system that eliminates a standing pilot to save energy. At 40,000 BTUs of heat, the Boulevard puts out enough heat for a medium or large sized room. The unit comes standard with a thermostat remote that allows you to adjust the flame height to suit your mood and heat requirements. Simply press the button to light the fire or just let the thermostat maintain your desired room temperature. By utilizing advanced logic circuitry, the IP system's thermostat anticipates heat demand to minimize temperature fluctuations in the room. The Boulevard's matte black interior makes a great backdrop for the linear burner, and the included a black porcelain liner adds to the illusion of depth. 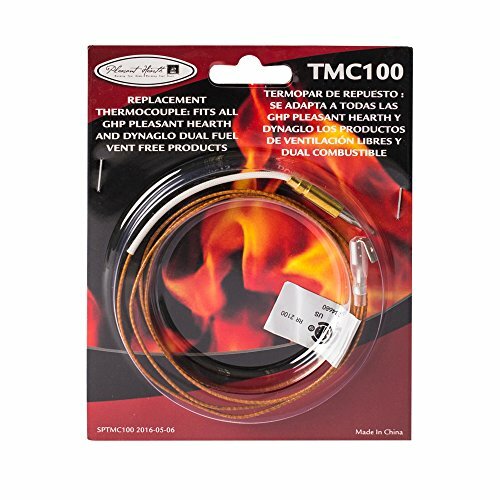 For use with all Pleasant Hearth & Dyna-Glo vent free gas heaters. 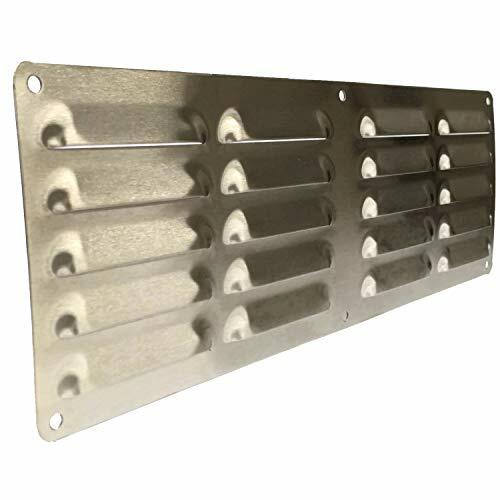 Can be used for vent free fireplace systems, gas logs, wall heaters, stoves for replacement parts use. Either for dual fuel or single fuel. 1 year warranty. Looking for more Hearth Vent similar ideas? Try to explore these searches: Batman Gotham Adventures, Billy Black Leather, and Fireman Badge. Look at latest related video about Hearth Vent. Shopwizion.com is the smartest way for online shopping: compare prices of leading online shops for best deals around the web. 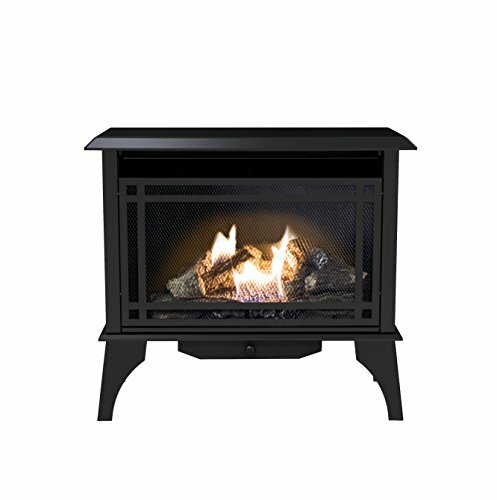 Don't miss TOP Hearth Vent deals, updated daily.